The stress of planning a wedding can take its toll on the bride-to-be and leaves little time for self-care. 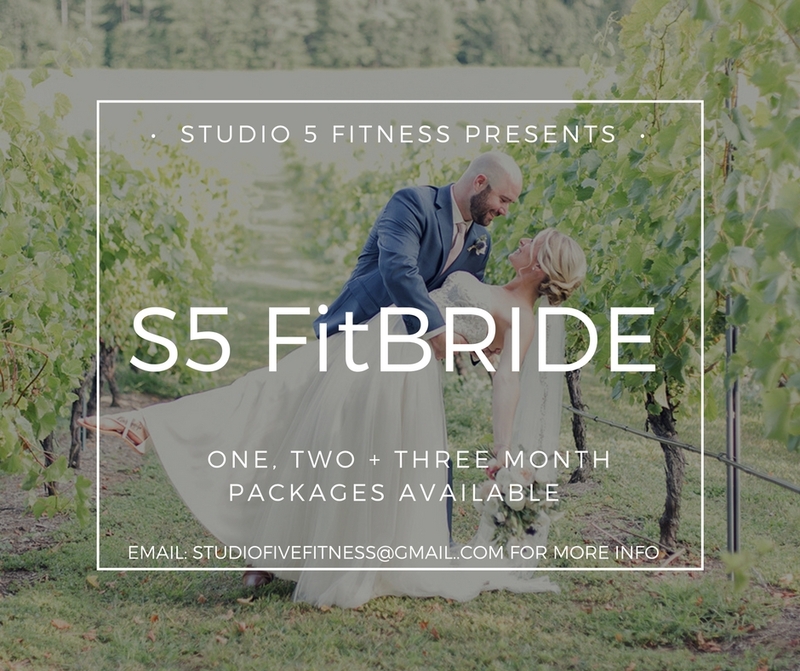 Let the talented instructors at Studio 5 Fitness work their magic and help you get wedding dress ready. Wanna come back post-wedding? Enjoy a 10% discount off any membership, class package or personal training package as our gift to you. Wanna come back post-wedding? Enjoy a 15% discount off any membership, class package or personal training package as our gift to you. Wanna come back post-wedding? Enjoy a 20% discount off any membership, class package or personal training package as our gift to you.